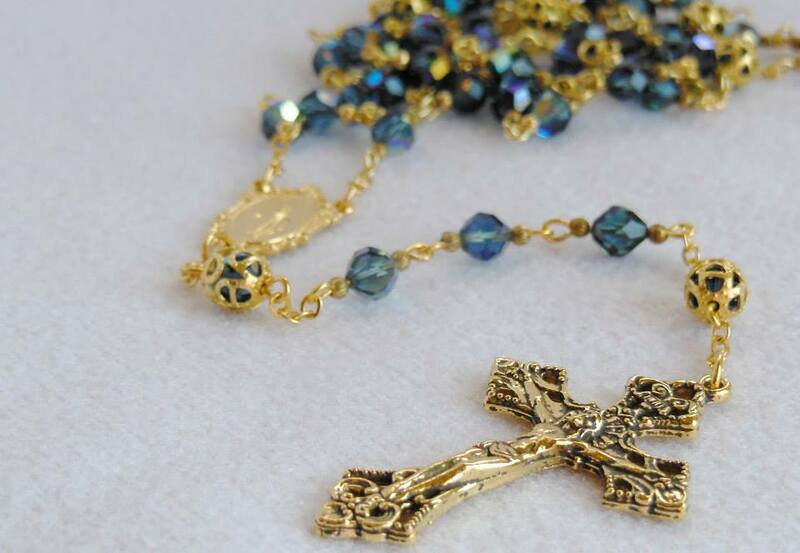 ​Do you have broken rosaries just sitting in a box or a baggie at your home? So many people do! I am happy to take a look at what you have and quote you a repair price. Prices will be determined based on estimate repair time, time acquiring new beads if search is extensive, etc. $10 minimum, per rosary plus return shipping costs to you. An estimate of repairs will be given before I begin my work. Do you have an old necklace you'd like crafted into a rosary? Contact me via email and we'll discuss your ideas. I'd love to help make your vision a reality!